Last year, our 4 month old babe that slept all the time was easy enough to take to church (where he slept the whole time) and was content while we cooked an Easter brunch (because he slept the whole time). 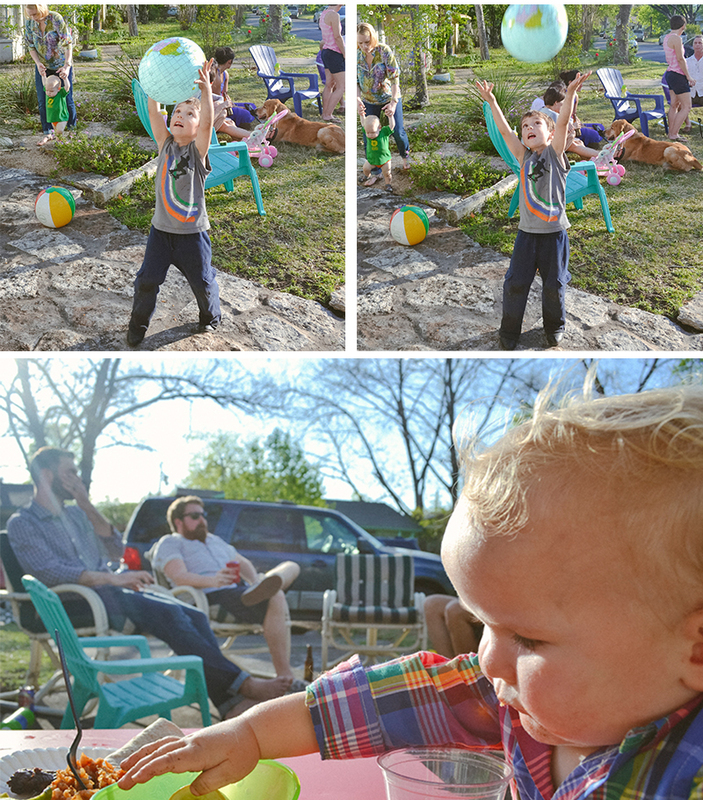 This year, our day looked completely different because our 15 month old dude never stops moving and wants to be a part of all of the action. 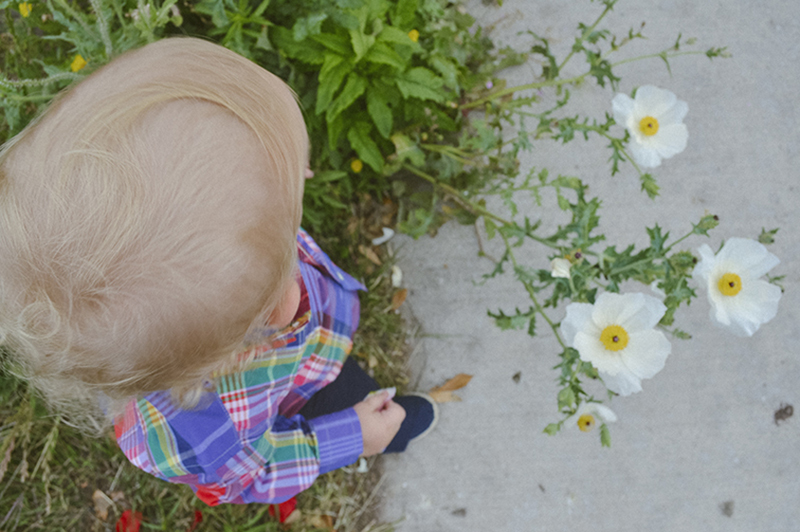 The Easter Bunny brought him a few of his favorite books that we've gotten from the library in the past - Chicka Chicka Boom Boom and Ollie the Stomper - and we started the morning with a little egg hunt in our backyard. His BonBon had given him a lesson on finding eggs while we were in Houston last weekend so he knew what to do. 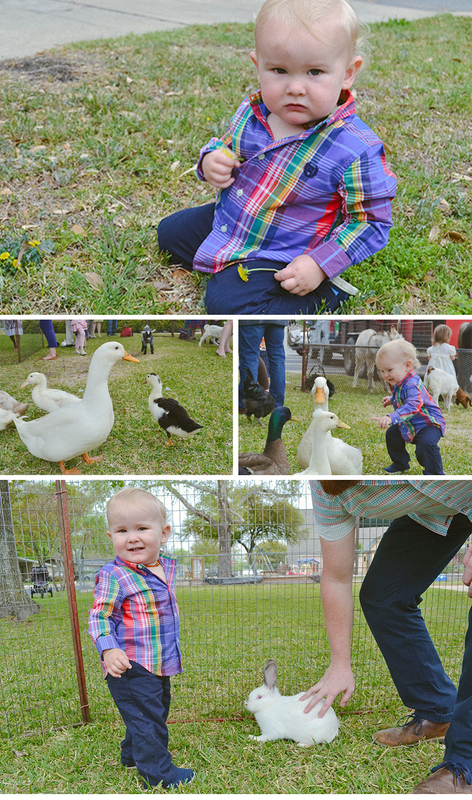 After cleaning up and putting on is Easter best - styled head to toe by his Cookie - we walked down the street where a church was hosting a petting zoo. Eddy's favorite animal right now is a duck ("Duh duh duh duh!") so he went straight for them. He was totally tickled be every little creature and was so gentle. 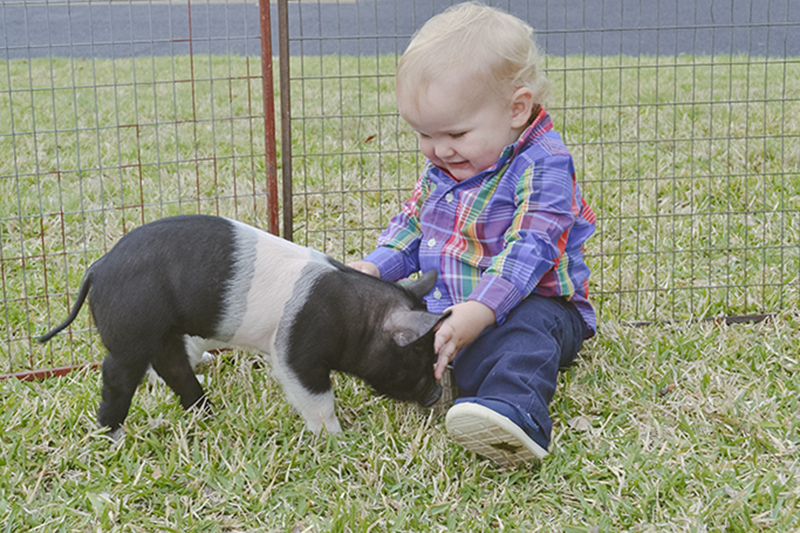 While he crouched down to pet a bunny, a baby pig came approached him and we were all squealing. It was an explosion of cuteness. The animals were all surprisingly mellow, with the exception of one grouchy goose, which is hopefully because they are so used to being around humans. 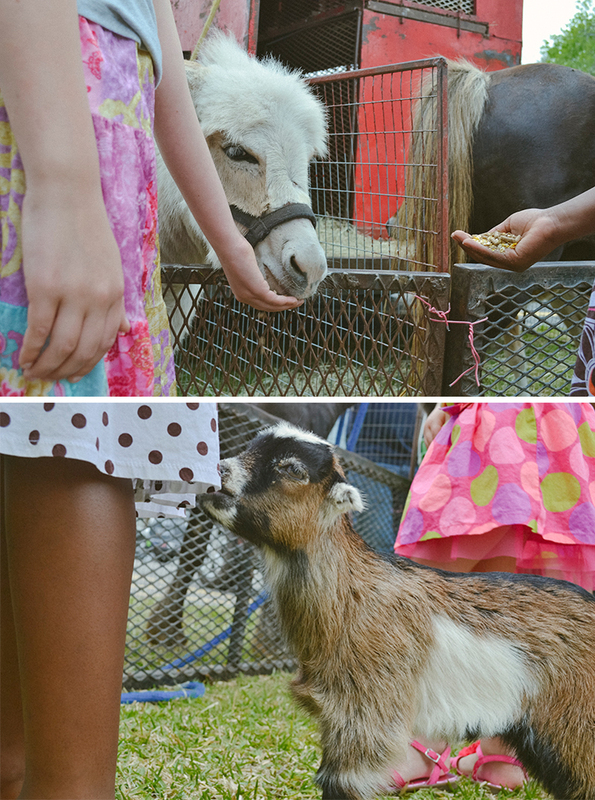 The baby goats were so obscenely adorable that I almost shoved one under my shirt to bring home for Lucy. I caught a picture of one nibbling on the hem of a girl's dress. There's a reason they're called kids. 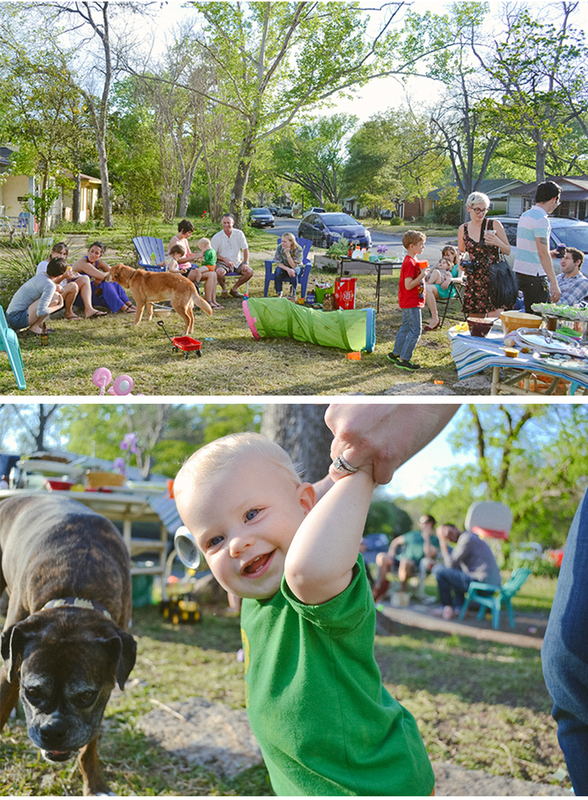 After a family nap, we went to our friends', Sara and Richie's, house to grill and hunt for more eggs. After about 30 minutes, it started to drizzle steadily but the thing about Austin is that it rains so infrequently here that nobody seems to care. We just carried on, knowing that our hair would get a little frizzy and our kids would be filthy at the end of the day. It was a gray day turned steamy and sunny. 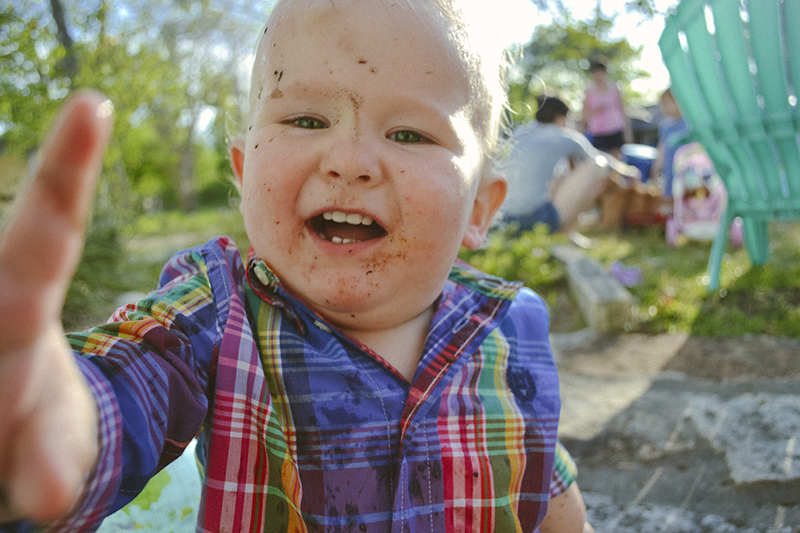 We filled our bellies, kids splashed in puddles, and it was a celebration. You are lucky he is gentle with the animals, our 15 month old loves all animals, but wacks them instead of patting them. Love the grubby boy image. When is Jarvis' birthday? Eddy's is December 22. They must be so close in age! Eddy definitely has his moments too! He seems to save his roughest pets for our dog, Lucy. Poor gal. Such happy photos! How cute does he look in that purple shirt! ?